Did you know that from 1971 to 1982 Ringling Bros. and Barnum & Bailey Circus was owned by the toy manufactuer "Mattel". 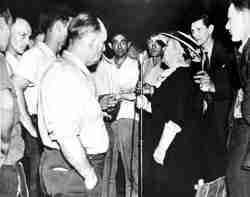 Edith Ringling (widow of Charles Ringling) appeals to the 1600 striking circus employees to accept a 25% pay cut. The appeal was unsuccessful, leaving the show stranded. The Ringling Brothers Barnum & Bailey Circus is no doubt the best known circus name in the world. The circus' history dates back to 1875 when circus owners from Delavan, Wisconsin, Dan Castello and William Cameron Coup formed a partnership with well known showman Phineas Taylor (P. T.) Barnum. The new circus was titled "P.T. Barnum's Great Traveling Museum, Menagerie, Caravan, and Hippodrome". 1n the 1860s James Anthony Bailey had teamed up with James E. Cooper and toured the Cooper and Bailey Circus. 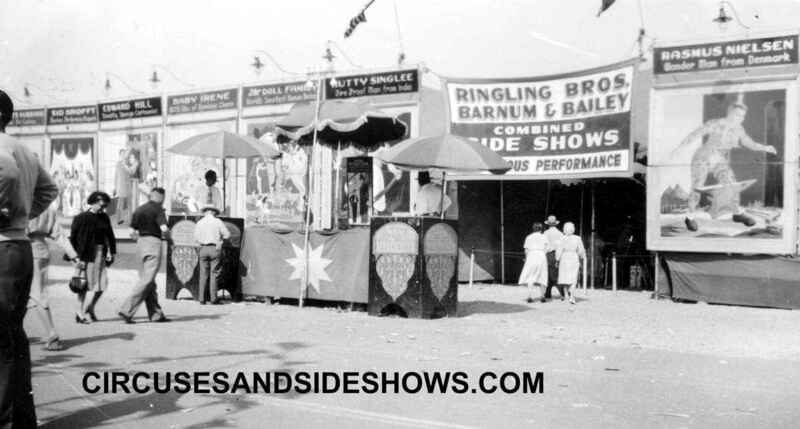 The Cooper and Bailey Circus enjoyed many years of success and became a rival the Barnum show. The featured attraction of the Cooper and Bailey Circus was "Columbia," the first baby elephant born in the United States. Barnum wanted to buy the elephant, and eventually an agreement was made to to combine the two circuses shows In 1882 The new combined circus was known as "Barnum & Bailey Circus". The new combined circus was very successful. The circus featured Jumbo, billed as the world's largest elephant. In 1891 Barnum died and Bailey bought Barnum's share of the the circus from his widow and continued to operate the circus. 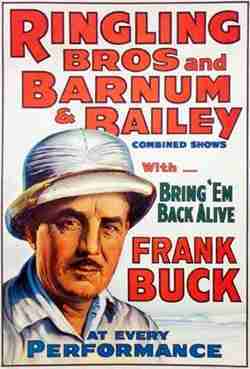 In 1897 Bailey took the Barnum & Bailey Circus to Europe, a tour that would last for the next five years. In 1884, the Ringling brothers had also started a small circus. It was a small circus which traveled by horse and wagon and touring mostly mid-western states. 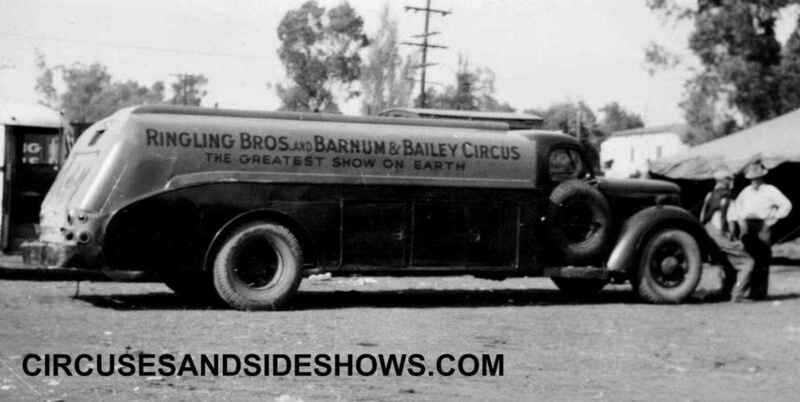 The Ringling Brothers Circus grew quickly and was soon converted from wagons to train.their circus from town to town in small animal-drawn caravans. With Bailey touring Europe, the Ringling brothers had the opportunity to Begin showing eastern states. By the time Bailey returned from Europe the Ringling circus was well established in the east. Bailey then made the decision to move his show to the west coast in 1905. The Barnum and Bailey circus was doing well west of the Rocky's however on April 11, 1906 James Anthony Bailey died. 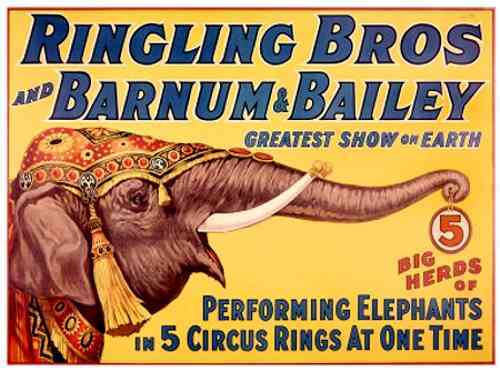 The Ringlings purchased the Barnum & Bailey Circus in 1907, they operated both circuses separately. In 1919 Charles Edward Ringling and John Nicholas Ringling were the only brothers left of the five who founded the circus. 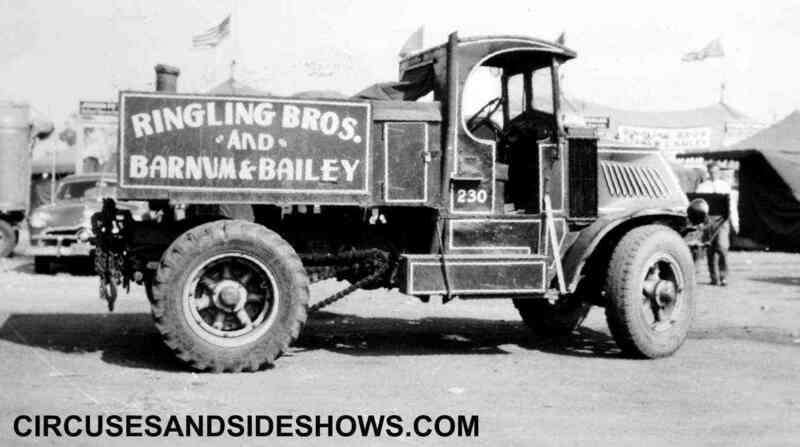 Managing both circuses on the road had becomes difficult, so in 1919, the Ringlings combined the two shows The new circus opened on March 29 in New York City ans was called "Ringling Bros. and Barnum & Bailey Combined Shows". 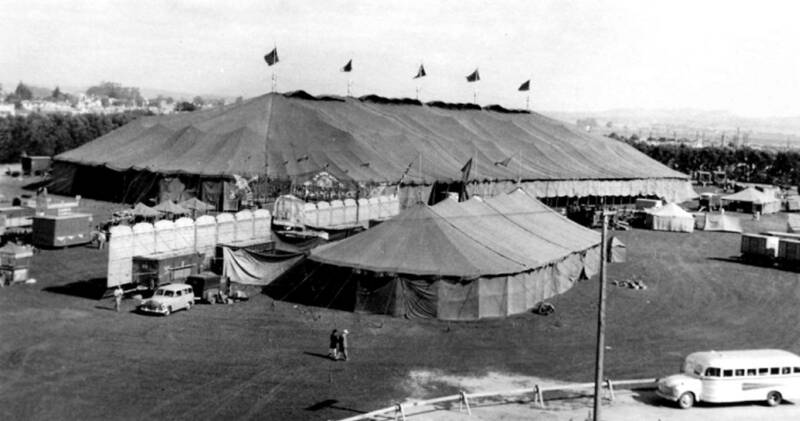 The circus had become the largest circus on the road, however it was not the largest circus Corporation. The American Circus Corporation, of Peru, Indiana owned and operated five large circuses the Sells-Floto Circus, Al G. Barnes Circus, Sparks Circus, Hagenbeck-Wallace Circus, and John Robinson Circus. In 1926 Charles E. Ringling died and 1929 John Nicholas Ringling, purchased American Circus Corporation for 1.7 million dollars. In 1938, well known animal hunter/trapper, writer, and movie actor (best known for his book "Bring 'Em Back Alive", became the feature attraction of the circus. 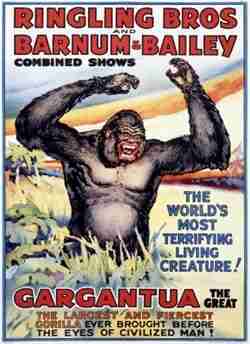 Also that same year Ringlings introduced Gargantua the gorilla. Frank Buck would introduce the great ape as "The World's Most Terrifying Living Creature!" 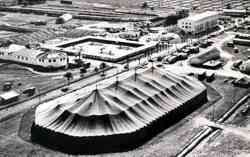 All circuses suffered during the Great Depression of the 1930s, and many closed. The RBBB now under the direction of John Nicholas Ringling's nephew, John Ringling North, managed the circus successfully through the difficult times. The years during World War II, were difficult times for the nation and for circuses also. Many circus personal were now fighting for our country in Europe or in Asia. The rail system was needed to transport troops and equipment. President Roosevelt, knowing that the country needed entertainment and diversion from the war to boost moral, granted special dispensation for circuses to move by train. 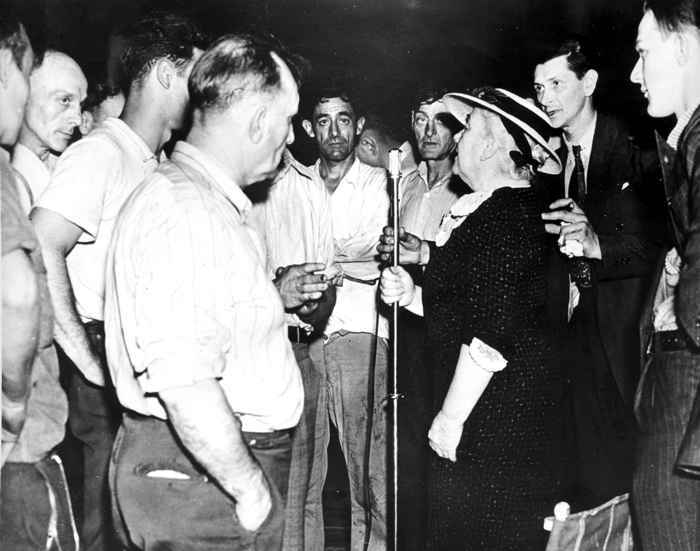 July 6, 1944 was the darkest day in American Circus history. The Ringling Bros. and Barnum & Bailey Circus was showing Hartford, Connecticut. 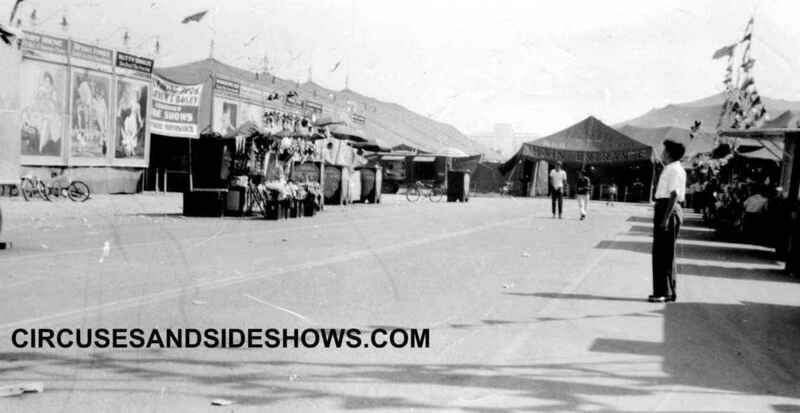 During the afternoon performance, a fire started near the top of the huge circus tent. The fire spread quickly and panic broke out. On that fateful day over 160 peopled died and more than 700 were injured. 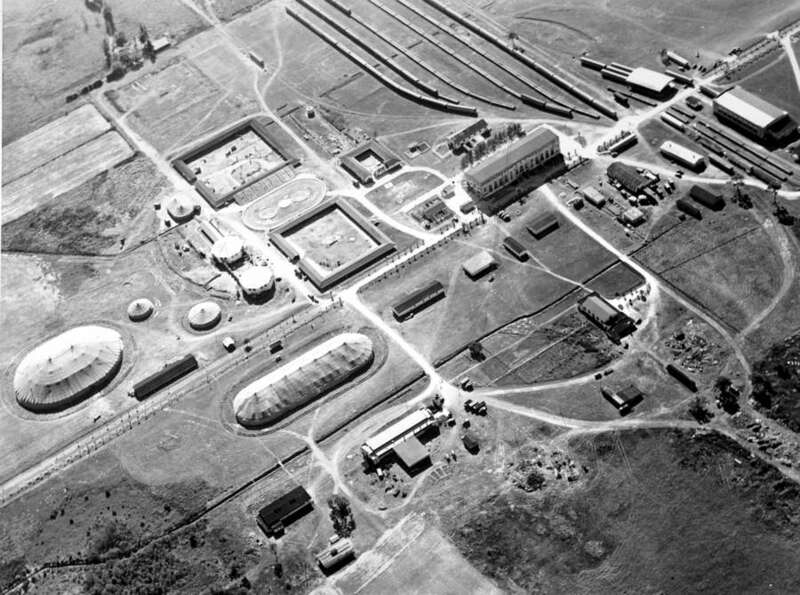 We have devoted a page to the tragedy, you may find the page here: The Hartford Circus Fire. 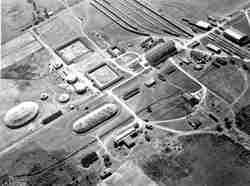 In 1951 the movie "The Greatest Show on Earth" was filmed on the RBBB. Weeks before filming began director Cecil B. DeMille took the cast on the show to get the real "feel" of the circus. After the Second World War, movie audiences were increasing and television had begun gaining popularity, and the circus industry suffered. The cost of moving the enormous big top was tremendous. 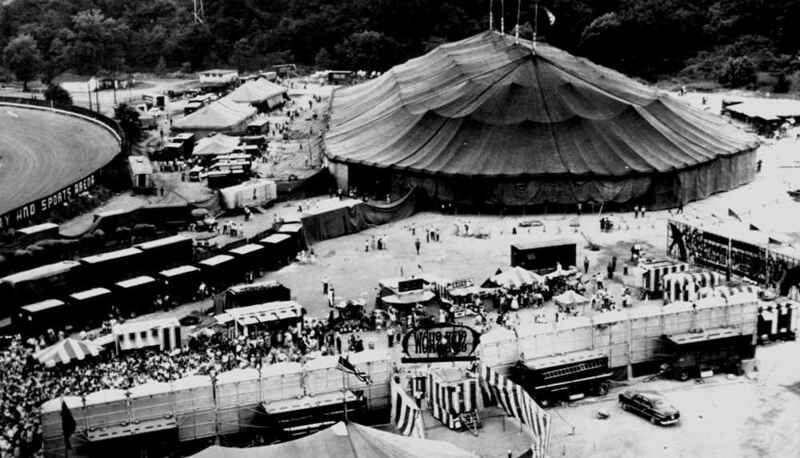 On July 16, 1956 in Pittsburgh, Pennsylvania the Ringling Bros. and Barnum & Bailey Circus gave it's last performance under the big top. John Ringling North and manager Arthur Concello made the decision to moved to an indoor operation. 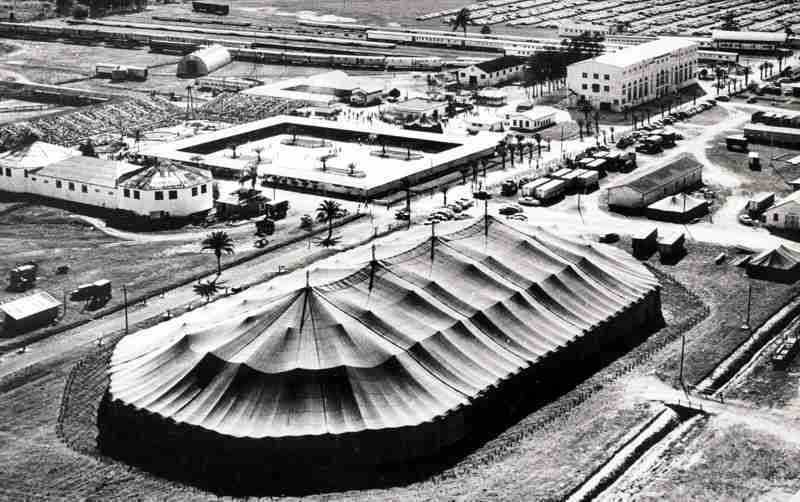 The last day the Ringling Bros. and Barnum & Bailey Circus tent was used. Irvin Feld and his brother, Israel Feld, were producers of rock 'n roll shows. Irvin had once worked for Ringling in the advance department, promoting the circus in several cities. In 1967, Irving Feld, Israel Feld, and Judge Roy Mark Hofheinz of Texas, and Richard C. Blum, (of Blum Capital), bought the circus from John Ringling North for a reported $8 million dollars. Irvin Feld died in 1984 and Kenneth took over ownership The circus remains owned and operated by Feld Entertainment who also operates ice show and other stage productions. March 2015; Feld Entertainment has announced that the Ringling Bros. and Barnum & Bailey Circuses will be phasing out their performing elephants by the 2018 season. The Company owns a total of 43 elephants, the largest herd in the United States. On Saturday January 14, 2017, after the evening performances of the Ringling Brothers Barnum & Bailey Circus in Orlando and Miami, circus employees were told that the show will be closing in May. The reasons giving for the decision were declining attendance combined with increased operating costs, along with changing public tastes. The two units of the Ringling Bros. and Barnum & Bailey Circus will give their last performances on May 7 in Providence, RI and on May 21 in Uniondale, NY.